Eric Fehrnstrom, a top adviser to Mitt Romney, pulls double duty w/ Senator Scott Brown. I spotted this moment during yesterday’s Scott Brown day-after-debate press conference. Eric Fehrnstrom, top adviser to both Brown and Romney, peers out from behind the press corps assembled at the event at Brown’s Boston headquarters. Posted in Uncategorized | Comments Off on Eric Fehrnstrom, a top adviser to Mitt Romney, pulls double duty w/ Senator Scott Brown. Yes, that’s right, September 15, 2012 is Thank a Cop Day, see here. In honor of those people on the blue line, here is a photo I snapped a few nights ago. I can’t think of a better way to say thank you than to show a truly miserable work moment for a cop. 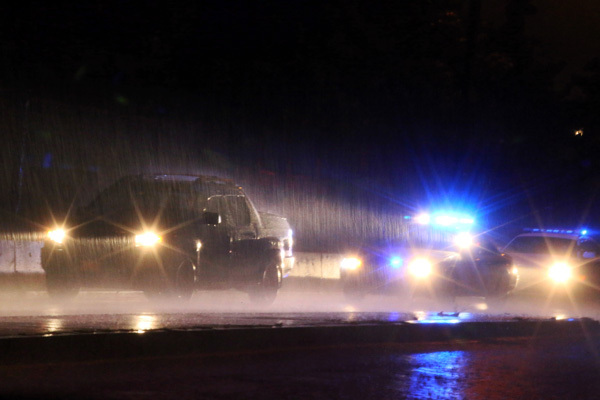 This is a traffic stop on Chelsea St. in Charlestown during very heavy rain. This gentleman was stopped because he did not have his lights on. He later put them on during the stop. The police department is the National Park Service, I believe. So, thank you police! 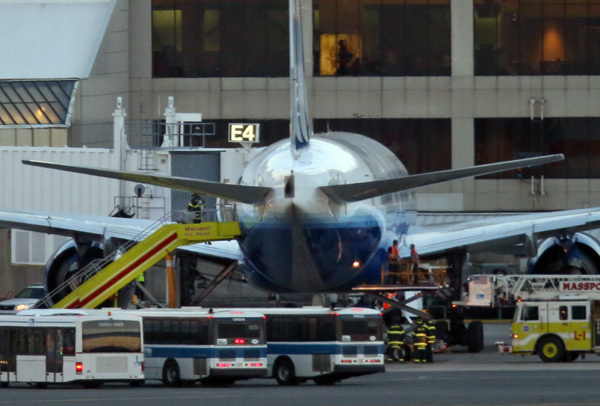 Smoke smell causes international flight to divert to Boston Logan. 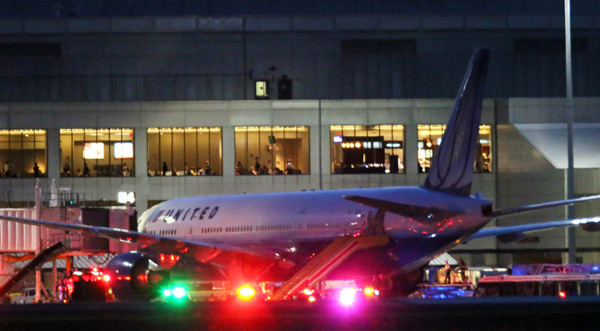 A United Boeing 777 landed safely at Logan after a smoke smell was reported inside the aircraft. 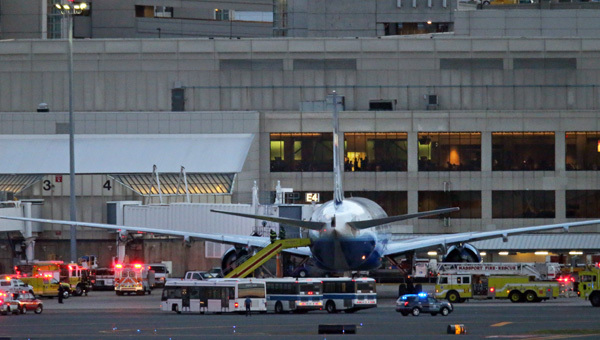 According to police scanner transmissions from Massport fire command, firefighters were investigating the source of the smell. They were then concerned enough, that they asked that a stair car be brought to the plane to take the passengers off that way as there was not a gateway available immediately. After buses and the stair car were positioned, it was decided not to evacuate in that manner. Please see my photos below. 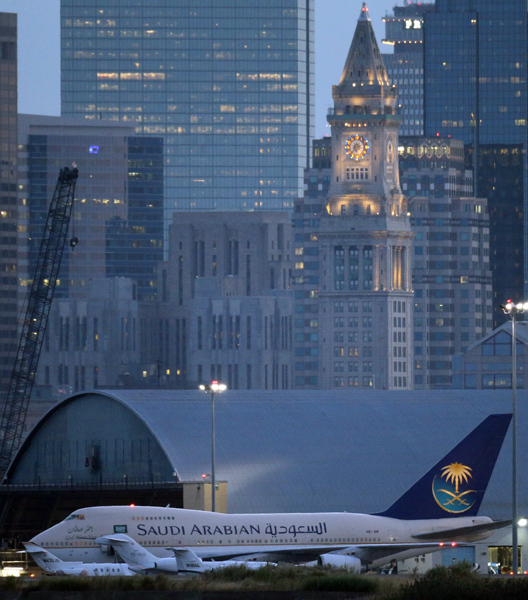 Posted in Uncategorized | Comments Off on Smoke smell causes international flight to divert to Boston Logan. 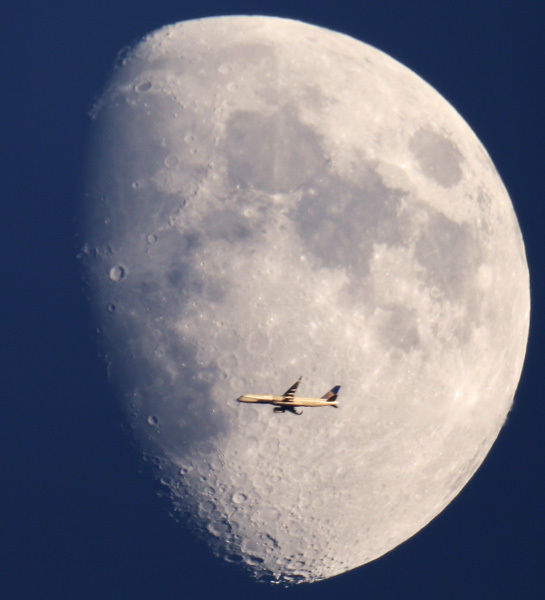 Dear Mr. Branson, tonight one of your airplanes rudely got in the way of a photograph I was snapping of a near full moon in Boston. Virgin Atlantic flight 12, to be exact, was the culprit. This injustice happened just a few minutes ago. As the CEO of this airline I was hoping you could right this wrong. You understand how certain things can go awry when it’s not your own fault. Maybe a roundtrip freebie to London for my wife and I in exchange for some usage rights for this photo. After all, you are a reasonable man. I know that you, like me, also have a passion for the moon. 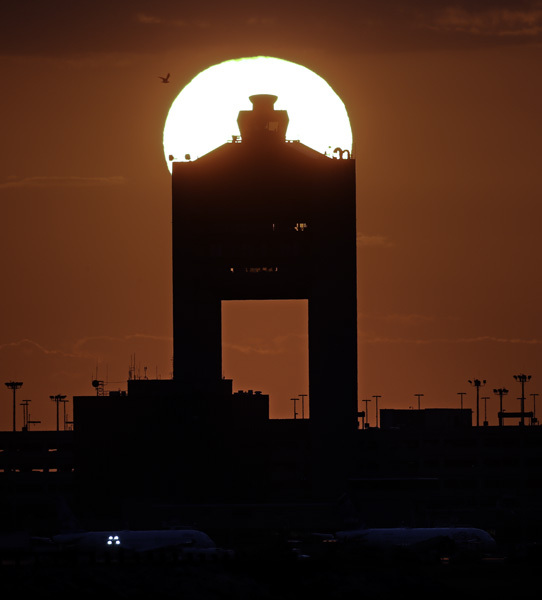 Logan tower is aglow in red during tonight’s sunset. Earlier this evening, there was a rare visit by a Saudi Arabian 747SP. A moonrise, a few days ago, is also seen below. Thanks for viewing my photos. 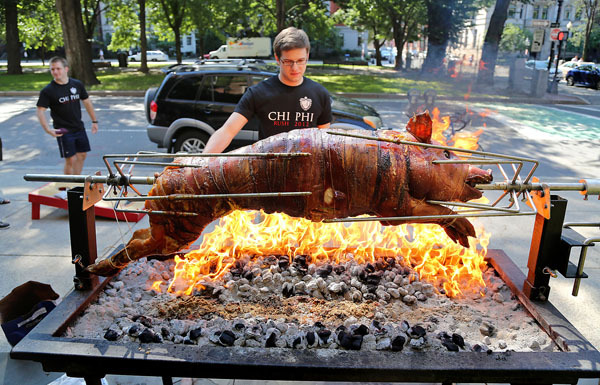 I found Stephen Frost, a returning MIT senior from Phoenix, on Commonwealth Ave. roasting a pig as he and his fellow students moved in to the Chi Phi house.